On the International Holocaust Remembrance Day, we commemorate the liberation of Auschwitz-Birkenau concentration camp, which happened 73 years ago. In memory of the victims, you are kindly invited to visit museum's Holocaust Exhibition and join a guided tour in English free of charge. During the tour you will learn about the life of Lithuanian Jews before the Holocaust and the way it changed since the start of the World War II. We will discuss the circumstances and the history of the Holocaust in Lithuania, the importance of armed and spiritual resistance in the Vilna and Kovno ghettos, forced labour and concentration camps during the Nazi times as well as the destruction of Jewish heritage during the Soviet era. 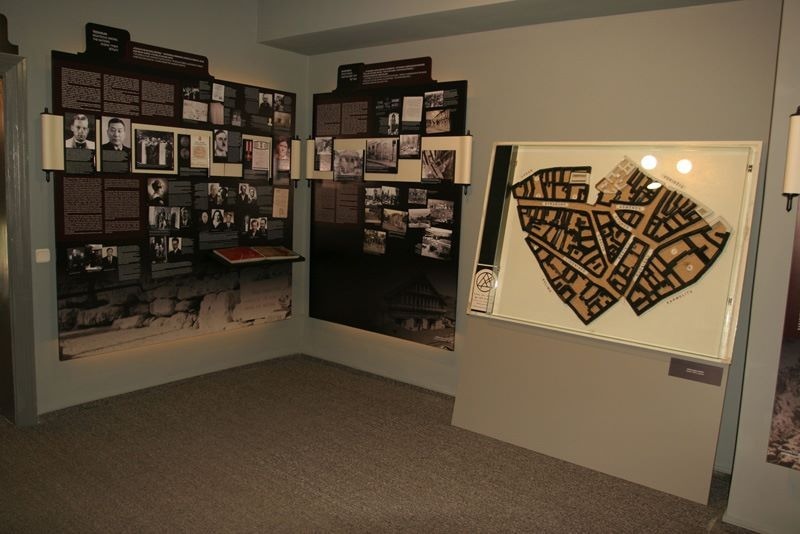 You will see unique exhibits of the museum, telling the stories of ghetto prisoners. There will also be an opportunity to visit the installation of a "malina", a former ghetto hideout, and hear excerpts from the diary of Yitzchak Rudashevski. The tour will end with a Q&A session. To reserve a spot on the tour which will take place in the Holocaust Exhibition (Pamėnkalnio Str. 12) on January 26 at 2 p.m., please register via email jewishmuseum@jmuseum.lt. N.B. Visiting the Holocaust Exhibition and taking part in the guided tour is free on January 26, but we would be truly grateful if you could make a donation for the project "Talking about the Holocaust at school". You may leave the donation at the Museum or transfer it via PayPal: https://www.paypal.me/VilnaJewishMuseum. Thank you very much for your support!